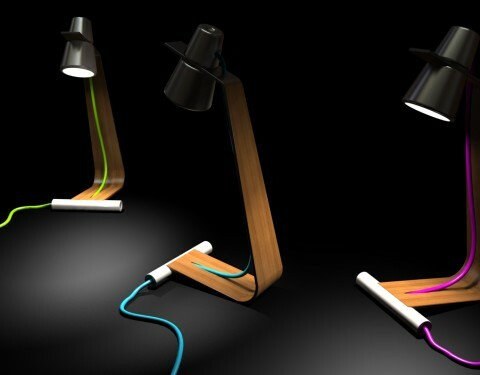 The table lamp is made of wood and ceramics. 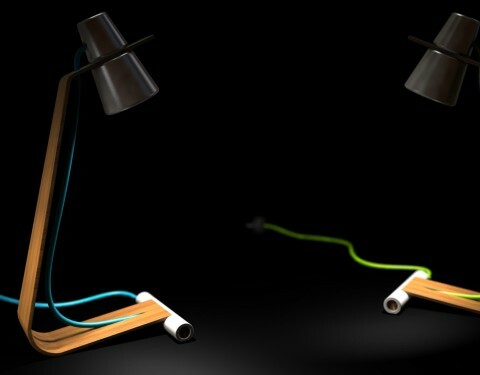 The lamp part, on top of the lamp is constructed of two different ceramic pieces that are screwed together around a hole in the bended wood. 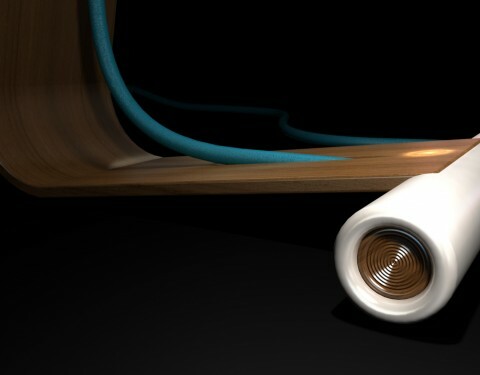 Inside this ceramic pieces you find the electric components where the lamp can be fitted. 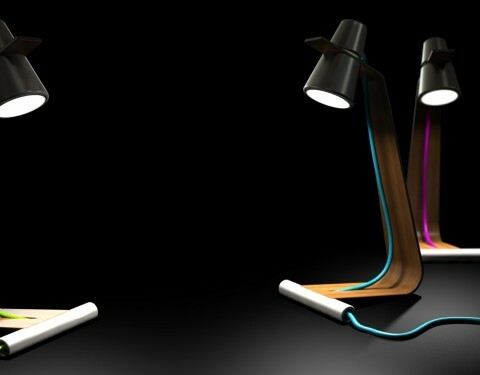 The ceramic part at the bottom of the lamp has both a design and functional aspect to it. The ceramic part works as a weight so the lamp does not easily fall. Inside this ceramic part you find the on/off button. 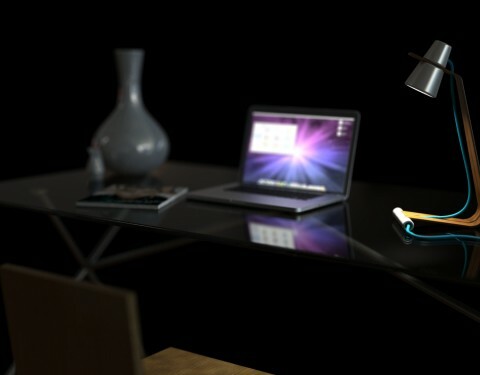 The ceramic part lifts the wooden part a bit from the surface which makes the lamp appear lighter and spacious. 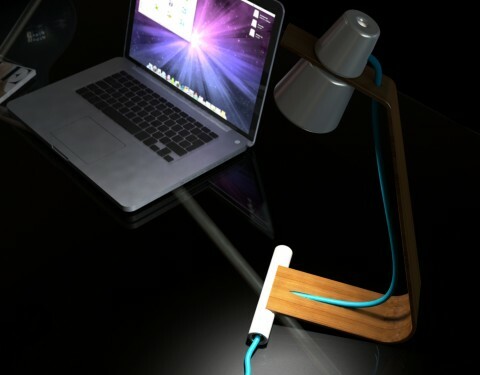 The power cord can be chosen in multiple colors to make the whole fresh and trendy.